If you´re planning a move from Sydney to Melbourne, contact the experts in furniture removal, Interstate Removals, and be guaranteed an affordable, quick, secure and most of all, stress-free move interstate. Our fully trained furniture removalists have been moving families and businesses right around Australia for the last 10 years and won´t be beaten on price or quality. Moving can be one of the most stressful things we have to do in life, but our team of professionals are here to help you with every step along the way. When you contact us we´ll put together a plan suited to your individual move, making sure you only pay for what you need. We offer advice on how to itemise and pack your goods and make the move as simple and cost-effective as possible. At Interstate Removals, we guarantee a simple, speedy, secure and affordable move, all at the very best rates. We know moving is a big job so our moving professionals will help you with your Sydney to Melbourne removals every step of the way. Our service includes delivering packing supplies right to your door and itemising your goods, as well as of course packing and unpacking them. We offer a range of storage options around the country and can organise your insurance for you. We will even deliver your car or motorbike to where they need to be. It couldn´t be easier moving from Sydney to Melbourne than with the Interstate Removals moving company. As well as making sure your move from Sydney to Melbourne is quick, convenient and secure, we are also proud to guarantee you the lowest price for your move by using backloading. Backloading furniture removals is where vehicles already on the road have some spare space in the back, so we use that space to deliver your goods. This means a saving to us which we then pass straight onto you. By backloading your furniture you´re not only saving money but you´re helping out the environment too, because it eliminates the need to put additional vehicles on the road. So backloading removals means fewer carbon emissions which is not just great for your wallet but for the environment too! With daily pickups from Sydney and deliveries into Melbourne every day, moving your move with the Sydney to Melbourne removal company, Interstate Removals, couldn´t be more reliable, convenient or cost effective. Many furniture companies give free home delivery and also provide removing service and it is very easy task. You just simply click on some reputed site who provide this type of service. 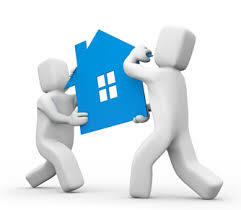 Thanks for sharing this information regarding cheap removalists in Sydney.